Arts (ISSN 2076-0752) is a peer-reviewed, open access scholarly journal that publishes new, significant research on all aspects of the visual and performing arts. Its goal is to promote critical inquiry, dialogue, and innovative approaches. We welcome articles that present innovative and important scholarship—theoretical, historical, interdisciplinary, and global—as well as other contributions of broad scholarly interest such as interviews with leading artists. This section will deal with visual arts ranging from ancient times through to the present day. This section publishes papers on music, including cross-disciplinary studies of the subject matter, and will also collect research on performance and performing art. 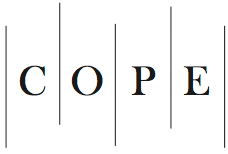 Arts is a member of the Committee on Publication Ethics (COPE). MDPI takes the responsibility to enforce a rigorous peer-review together with strict ethical policies and standards to ensure to add high quality scientific works to the field of scholarly publication. Unfortunately, cases of plagiarism, data falsification, inappropriate authorship credit, and the like, do arise. MDPI takes such publishing ethics issues very seriously and our editors are trained to proceed in such cases with a zero tolerance policy. To verify the originality of content submitted to our journals, we use iThenticate to check submissions against previous publications. MDPI works with Publons to provide reviewers with credit for their work.